The EVO Smart Console (codenamed Evo: Phase One) is a Media PC and game console marketed in the seventh generation era. The EVO Smart Console comes loaded with Fedora 8, with an option to convert to Linux-based Mirrors Evolution (a modified version of Fedora 8) or to install Virtual Windows for an additional $100. This console offers gaming, Internet, VoIP support and HD Video playback. EVO offers cloud computing based applications, Amiga-based games and Akimbo-based Video on Demand service with a catalogue of over 10,000 titles. EVO also offers additional features such as remote access, virtualization, voice-recognition, Digital Video Recording, support for Internet Television, social networking, streaming content, and automatic backup and storage, and finally -- the unit acts as virtual online cloud storage. Only 3000 units were ever sold, and the console seems to have disappeared from existence as the website Evo-SmartConsole.com is gone and the company (Envizions) does not display the console nor does it mention it anywhere on the company website. 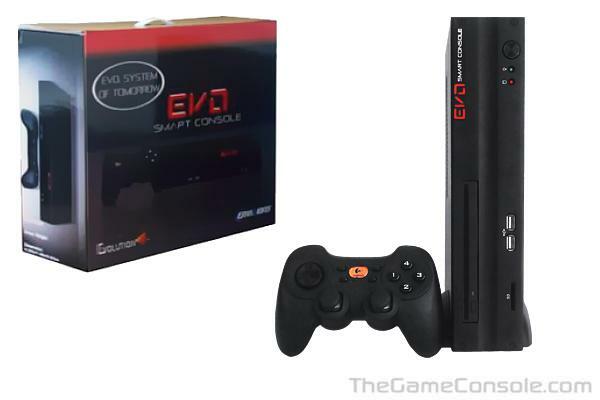 In 2009, all EVO Smart Consoles were sold out.